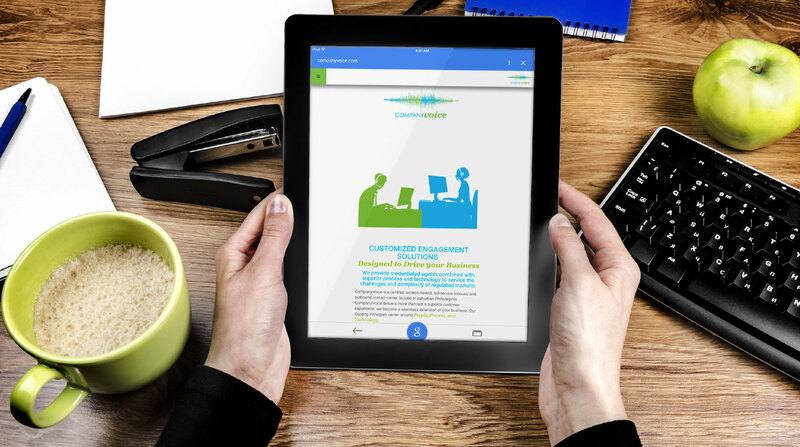 Launch new entity CompanyVoice in a saturated contact center marketplace. Framing the brand for success required mating the powerful naming strategy with a distinct visual brand identity that expresses the brand’s essence. 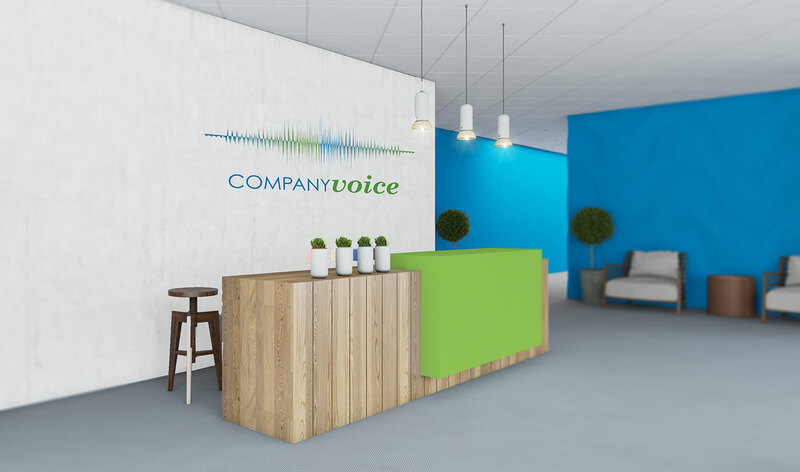 The brand design uses the voice wave icon to create instant customer connection and recognition; the integrated graphic style reinforces brand ideals with each customer experience. 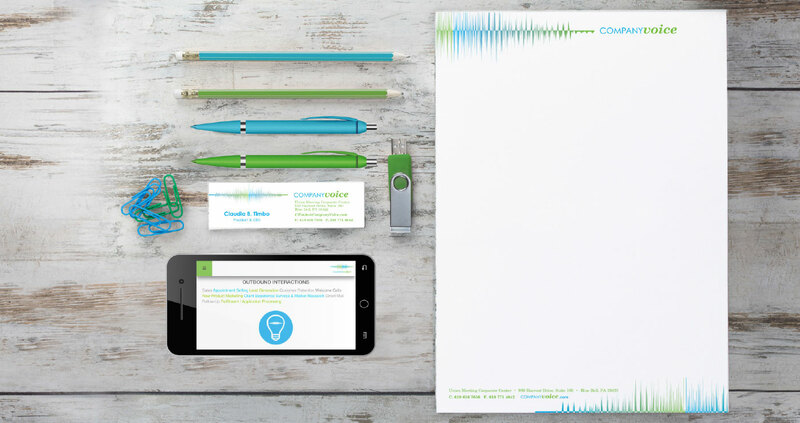 Xavier designed a complete cohesive branding identity, from logo to web to signage to premium items. 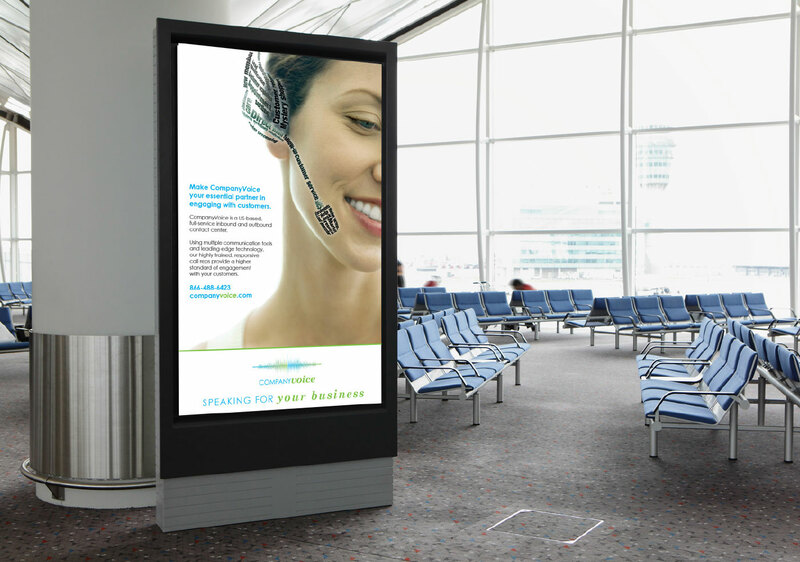 Bold, eye-catching ads attract traveling professionals as they navigate through airports. 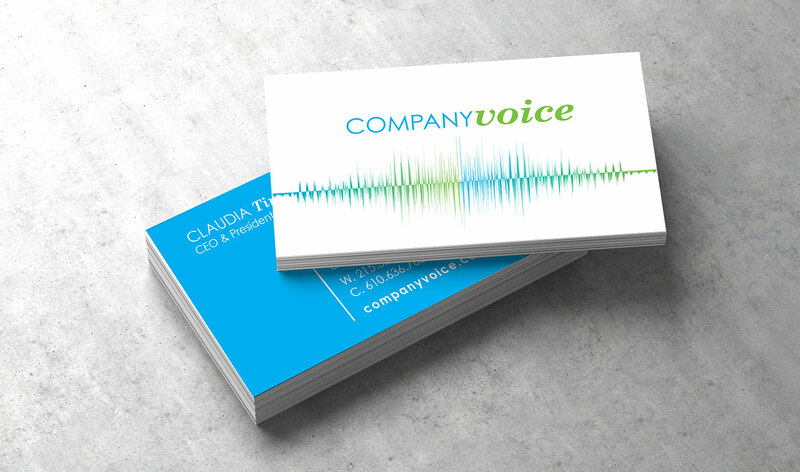 Rich colors and unique contrasted design ensure that these business cards stand out from the rest. 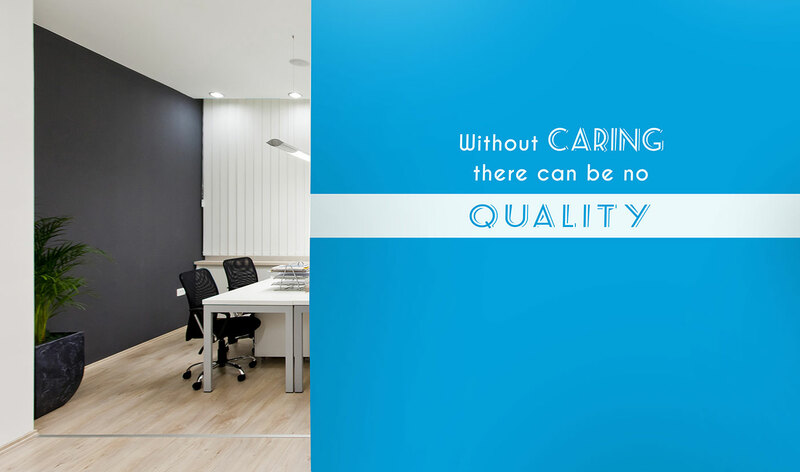 Positive first impressions provide a welcoming and engaging branded reception area. 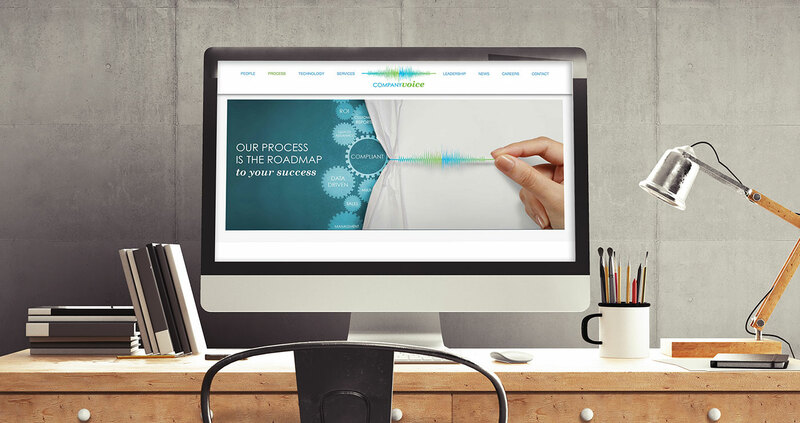 Responsive design allows optimal website viewing on any device. 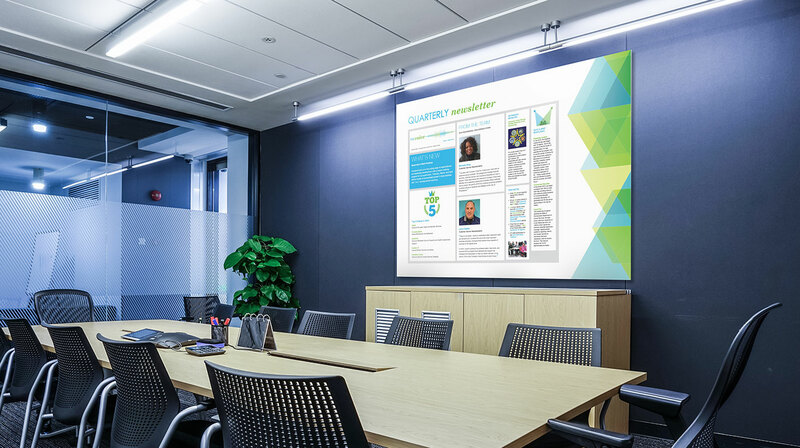 These walls talk, with inspirational quotes in colorful, stylized font treatments that offer a stimulating work environment to call center colleagues.